Spy Games was founded by former SAS trooper Dave Thomas, "We employ many veterans and former emergency service personnel, mental health is a regularly conversation point over a brew and a check up on each other, it may end up as banter and Mickey taking but thats just the way veterans talk to each other." 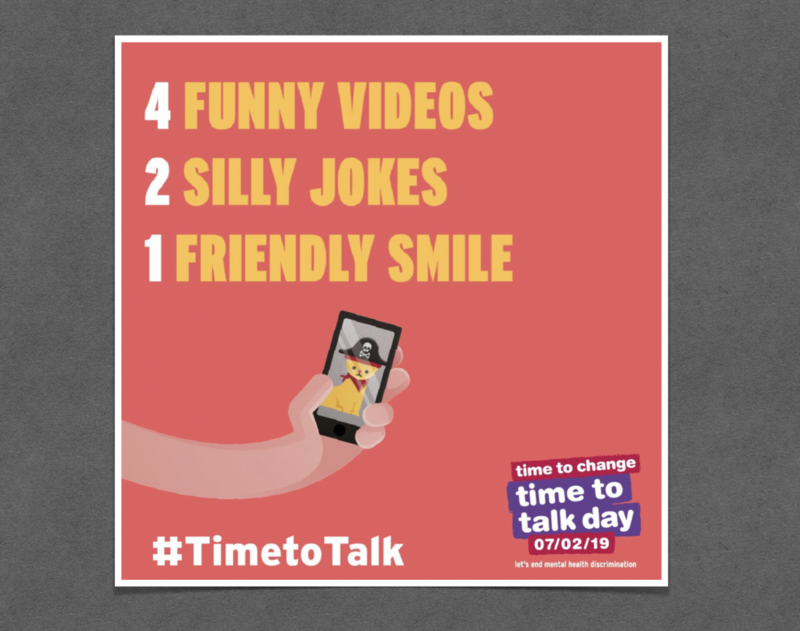 Time to Talk Day is a fantastic idea! 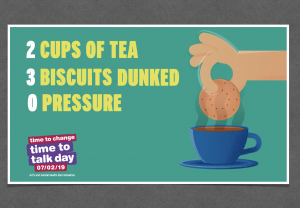 or even better ask them out for a coffee and have a good old catch up! Post-traumatic stress disorder (PTSD) rates have increased among members of the UK armed forces, new research suggests. The overall rate of probable PTSD among current and ex-serving military personnel was 6% in 2014-16, compared with 4% in 2004-06. The rise in the condition, which can be triggered by exposure to traumatic events involving threat to life or limb, was mainly seen in military veterans who deployed to Iraq and Afghanistan, the researchers said. The findings are from the third phase of a major cohort study by King’s College London, which has been running since 2003 and is funded by the Ministry of Defence. The rate of PTSD among the civilian population is about 4%. Sir Simon Wessely, senior author and professor of psychiatry at King’s College London, said: “Our results suggest the risk of mental ill-health is carried by those who have left the service, and that part of the legacy of conflicts on mental health has taken time to reveal itself. However, it would be wrong to say there is a ‘bow wave’, tsunami or timebomb of PTSD in the UK military and veteran community. During 2014-16, the rate of probable PTSD among ex-regular veterans was 7.4%, compared with 4.8% among those currently serving as regular personnel, the study found. Former military personnel who deployed to Iraq and Afghanistan were more likely to report the symptoms of PTSD. For veterans who deployed the rate was 9.4%, compared with 5% among those who did not participate in the two conflicts, the research found. Ex-serving military personnel deployed in a combat role were found to have higher rates of PTSD at 17.1%, compared with 5.7% of those who had been in a support role such as medical, logistics, signals and aircrew. The researchers said one reason PTSD could be more common among veterans is because personnel who were mentally unwell were more likely to leave the armed forces. Rates of common mental disorders have remained at about 20% between 2004-06 and 2014-16, while alcohol misuse has fallen from 15% to 10%. Prevalence of common mental health disorders in 2014-16 was 30.7% among veterans who deployed to Iraq or Afghanistan in combat roles, compared with 18.8% among those who had support roles. A government spokeswoman said: “We take the wellbeing of our personnel extremely seriously and we fund research so we can continue to improve the way we support them. Military personnel receive stress management training before, during and after operational deployments, and consultant psychiatrists are available by phone 24/7, should individuals require support. The findings, based on questionnaire responses from more than 8,000 current and former members of the armed forces, have been published in the British Journal of Psychiatry. http://www.spy-games.com/wp-content/uploads/2019/02/Screenshot-2019-02-07-at-08.14.52.png 1478 1872 James Sullivan http://dev.spy-games.com/wp-content/uploads/2016/11/spy-games-300x172.png James Sullivan2019-02-07 08:38:262019-02-07 08:44:11Time to Talk Day!